Are going to throw a party for your baby shower? 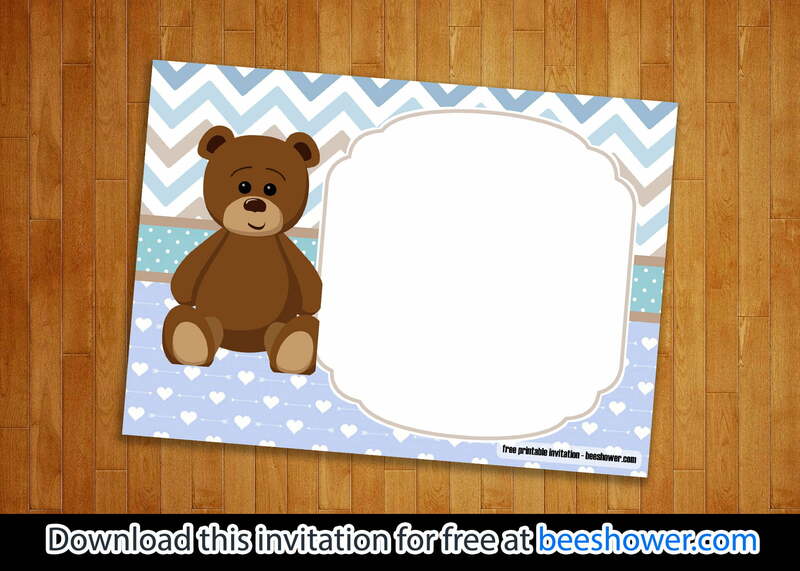 Well, we have the free template for teddy bear baby shower invitations. Basically, we use blue on the template with a teddy bear sitting on one side of the page. A blue bow tie is nicely mounted on its neck. This template will be suitable for a boy baby shower. You can download this template for free as long as you use for personal matters. We cannot tolerate if you use our template for commercial uses anyway. And in this article, we are going to tell you about how to download the template and customize it according to your need. There is a designated box where you can fill several details on it. We also provide the fonts you can choose to customize the invitation template. If you do not like to follow the example, you can choose your own font after all. The detail is typically including your name, the date of the party, the location, and contact person you can call in case you need something to ask. As we have mentioned earlier, the teddy bear baby shower invitations are dominated by blue, a little amount of white, and a tiny amount of soft brown. It will be a cute invitation for a baby shower you will ever know. After you have downloaded the template, you can now just print it. Since the standard size of invitations is 5 x 7 inches, you may prepare the proper paper. Nowadays, you can buy the ready-to-print invitation paper or cardstock from the online store. We highly recommend you to choose the linen paper for printing the teddy bear baby shower invitations. Besides it gives the best look, the texture of the paper feels so fancy. Make sure that you use the best inkjet toner so the result would be awesome as well.